Please read the general terms & conditions before you order at Tyroola.com.au. When you place the order, you automatically give acceptance to the general terms and conditions. 1.1 Customer – stands for the individual, person, company or other body who place an order on the site www.tyroola.com.au. 1.4 Business day – stands for the day except Saturday or Sunday, nor a public and/or bank holiday anywhere in Australia. Also referable with "working day". Tyroola Pty Ltd will hereafter be referred to as the Seller, Company, Tyroola, We or Our. These general terms and conditions are applicable to all contracts a customer (hereafter indicated as you, the customer, or purchaser) made with Tyroola by ordering a product from Tyroola.com.au. By ordering a product from this website, you accept the General Terms and Conditions. All Our Prices include GST and any other applicable taxes (which will be charged at the current rate as shown on the website). Prices include delivery, unless otherwise stated on the Website. The prices are given in Australian dollars (AUD). We reserve the right to correct mistakes and or update information without prior notice. However, if the wrong price has been shown on a product you already have ordered, we will of course notify you and await your approval of the correct price before we process your order. 5.2 If we suspect that any order is fraudulent or involves stolen identity or payment information, we reserve the right to make any additional authenticity checks and to involve any authorities we deem fit. 5.3 The payment methods of ZipMoney and Afterpay are offered and controlled by these companies themselves, we simply offer it as a payment option, although any issues or queries regarding installments should be directed to the correct company. You are entitled to request a return within 14 days after you, or a third party named by you, received the tyres. Please send an email to support@tyroola.com with your name, order number and reason for return in order to request an RMA number. We reserve the right to update and make changes in our General Terms and Conditions. Any changes or additions will be published at www.tyroola.com/my/. Continued use of our webpage is considered as an approval of the potential changes. If stock is marked as 'Clearance stock', the age of the tyres potentially could have an age greater than 4 years. MatesRates is a new way to shop. 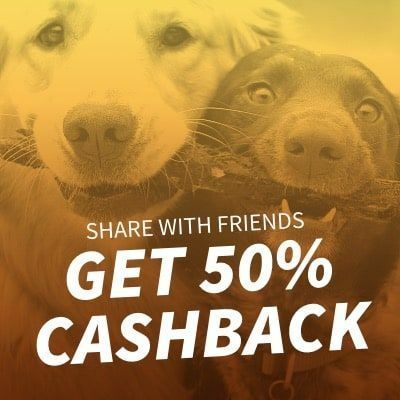 You can get products at very low prices, only by sharing your purchases with friends, who will then be eligible to the same cashback if they share with their friends too. In order for the referred orders to be valid, each referred order must contain 4 tyres or more. The original buyers cashback is only available on up to 4 tyres. The offer is only available from April 1st 2018 until May 31st 2019. Your friend must apply from the referral link we have given you. If your friend applies from a separate link or applies independently (i.e. if they visit www.tyroola.com.au directly) you will not be eligible to receive the discount. After your friends have purchased 4 tyres with your unique promo link, they will have the possibility to participate in Mates Rates and benefit from the same discounts. If you fail to comply with these ‘Share Price’ Terms and Conditions, your participation in the program may be cancelled and you will not be eligible for any fuel vouchers from the ‘Share Price’ program. This promotion is not available or valid if a voucher/discount code is used for the original or subsequent purchases. After you purchased tyres at tyroola.com.au, we'll send you a confirmation email. A $30 off voucher for your first ride with Ola will be included in this email that can be redeemed through the Ola app. Once you downloaded the app, enter a "pickup" and "drop at" destination and hit "Continue". Then, enter your credit card details and the voucher code. Ola operate in the following cities: Sydney, Melbourne, Perth, Brisbane, Gold Coast, and Canberra. The voucher is valid for 30 days from purchase. The redemtion period ends December 30th. Ola drivers can purchase tyres at https://www.tyroola.com.au/tyres-for-ola-drivers/ and get 10% off tyres. The voucher code can be entered at the cart. The redemtion period starts November 1st and ends December 30th 2018. Must be an official Ola driver. In some cases, we'll request an Ola ID/ proof of being an official Ola driver. If you fail to show proof of being an official Ola driver, you will be charged the difference. A standard wheel alignment is what is offered for standard vehicles. This standard alignment excludes any alignment that requires additional work and/or materials including shims, and also 4x4 vehicles, classic vehicles, modified vehicles, luxury vehicles, racing vehicles and any other vehicles where a standard alignment cannot be carried out on. If a vehicle requires equipment other than that of a standard wheel alignment (eg. truck wheel alignment machinery), the alignment may not be carried out. The Offer: On selected Pirelli tyres you can get free mobile fitting. Only available on selected Pirelli tyres. Additional call out fees and wheel alignment cost applies. Only available in selected postcodes. The offer is only available from April 1st 2019 until April 30th 2019. ATL (Authority to Leave): Customers have the option to authorize delivery drivers to leave the ordered items in a secure location at the address provided for delivery. If the driver believes the location is not secure, he will keep the items and will wait for instructions to re-deliver the tyres at a later time. (Additional fees may apply to multiple re-deliveries).